Fast setup, moving and cleanup time. 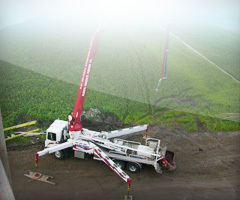 High speed, pinpoint placement capabilities. 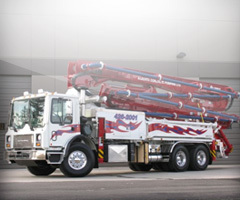 Tough mix pumping ability - bridge decks to house slabs. 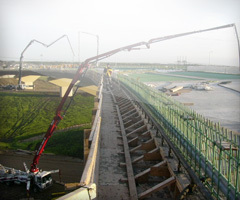 Minimum of labor needed to place concrete. Purpose is to create Customers. 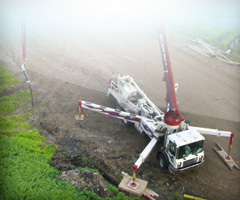 Customers are the foundation of our business. 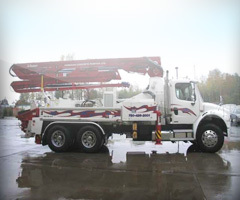 Retaining Customers by providing world class service with the best employees in the business is our goal. 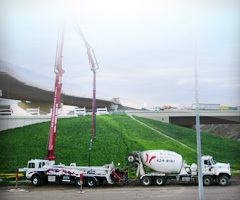 We encourage them to be proactive with customers to improve Alberta Concrete Pumping Ltd. effectiveness. 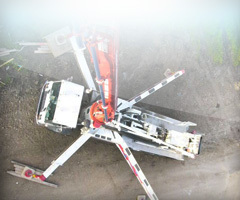 Above all, we will treat employees with the same care and respect that they are expected to share with every Alberta Concrete Pumping Ltd. customer. 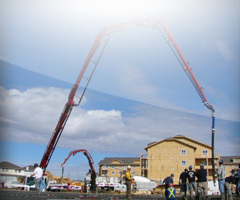 Alberta Concrete Pumping Ltd. vision is to be the most preferred and successful concrete pumping Service Provider in Edmonton and surrounding areas. 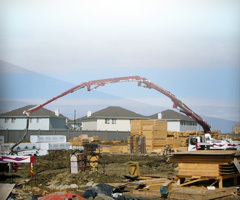 Copyright © 2017 Alberta Concrete Pumping Ltd. All right reserved.